Taking your business to online is a dream for many. We can’t measure the happiness when the dream comes to reality. Bringing an offline store to Online is a great thing but the following steps have to be followed to create a fruitful online presence. Identify a Domain Name: Domain name is an entry gateway for your business. No need to worry that It should match your registered business name. There are so many popular businesses runs in a different domain name rather than their registered business name. Search for the domain name availability and pick a domain name. It’s recommended not to fall in for the expensive domain sellers. As you are starting up, It’s appropriate to send good amount of time to find out a meaningful domain name. Hosting: Usually domain registrars offer hosting as well. It makes your task easy if you choose hosting with the same provider. Else, you will have to point your Domain Naming Servers to the different Hosting Provider. Install WordPress: WordPress is free and easy to install. Most CPanel offers a One-click WP installation and you shall just click and Install the software. You will have to offer root username and password and make sure that you keep it safe. Also Its advisable not to use regular passwords as there are recent attacks happening in WP websites. 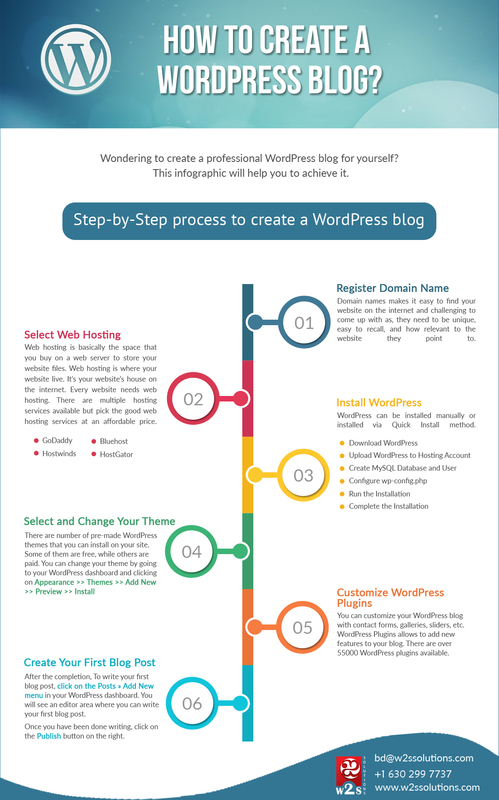 Theme: Benefit of WP is that offers the bunch of themes. You shall either choose a free theme offered or you can buy premium themes. There are many sites available that let you to purchase or download a free theme. You will have to make sure the theme resembles your business rather picking something is rich. Customize It: Customization matters when it comes to WordPress. It offers various plugins such as social media integration; email marketing, SMS gateway, e-commerce, subsworcription plugin in and so on. You will have to choose the required plugin based on your need. Also its advisable to choose from the reliable plugin provider and most importantly rad the reviews. Blog Post: You are all set. Just log in and write the First Blog. Blogs are important for search engine optimization and regular blogging will brings in visitors. It would be good if you write blogs that resonates your business tone, offerings, special discounts and what’s the current trend. It will be more interesting for your readers to read and make an action. 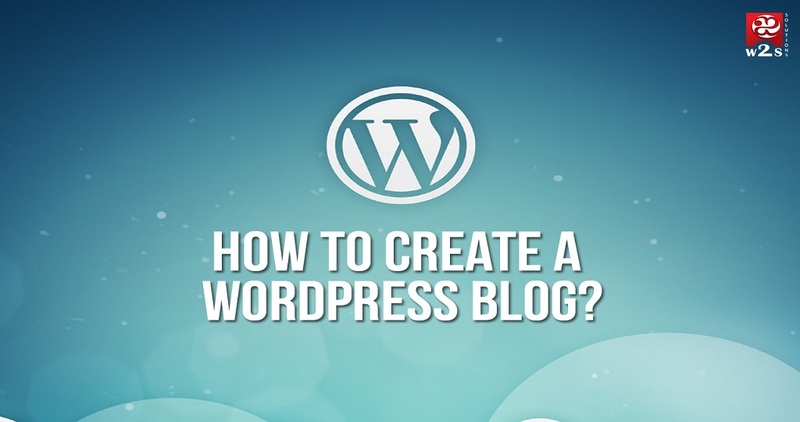 Are you looking to make a site impressive or revamp your outdated WordPress site? Hire the right WordPress Web Development Company. As truly said, “A picture is worth more than 1000 words.” In the present situations, a picture is the best way to share and organize your blog content. You can handle chart, Information, and text collectively to build an Infographic. Infographics are pretty successful on social sites & users like it as it conveys the information in a simple to understand the topic quickly. Thank you very much for sharing this article. I was looking for Infographic tools and reached this post. These tools encouraged the person like me to create my first infographic. You well described in regards to Infographic and reveal why it is important for websites and especially I think best for business blogs. I have observed how infographics increase social shares and targeted traffic to blog posts. But until today I have not created an infographic. After reading this page I also think that I should work on infographics. I was just looking for some tool to promote my blog pages on online platforms. Moreover, various bloggers might use your Infographic in their articles, and you will get backlinks. These are much-required tools for any blogger, thank you for your ideas about infographics.